There is nothing quite like golfing with a new set of grips on your clubs. At GlobalGolf.com we want to offer our customers everything they need to enjoy playing golf. 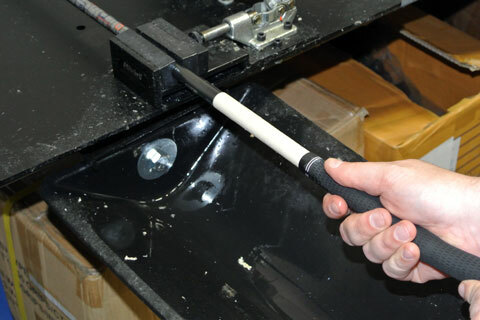 We are pleased to offer a re-gripping service that allows you to replace any grip on any in-stock club. Proper grips improve your game, this service allows you to match the perfect grip to your next club purchase. Proper grips improve your game! Wraps increase grip size by 1/64", two wraps 1/32", etc. We allow up to six wraps included in our service. Being an industry leader in preowned clubs, we take pride in our detailed inspection process. The grip is one area that is not evaluated, therefore we would like to allow our customers the option to select one of their preference. New condition clubs are also available for re-gripping. Where do I re-grip my club online at globalgolf.com? Add a club to your cart, at checkout click “Re-Grip?” on the club for servicing. Once selected, choose the specific grip of preference, and any additional wraps. One Driver to be re-gripped ($4 Service Fee) with a Golf Pride Tour Velvet ($4.99 Retail Price) will cost $8.99 in addition to the club price at checkout. Note: Adding additional wraps is free!